Last year we were proud to produce a gathering during E3 just for the PC. It was months of work (but all worth it: I got to help make this), and we gained a lot of respect for the folks who put on these types of events year after year. Now we’re one of them too! 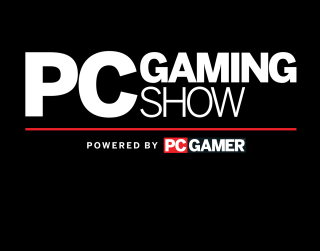 The PC Gaming Show will be back for 2016. Watch live on the internet as some of the most exciting creators in gaming take the stage to share new footage and tell you more about what they’ve been making. We’ll be broadcasting the event during E3, live from Los Angeles on Monday, June 13 at 11:30 AM PDT (6:30 PM GMT). With the help of all the feedback and support everyone gave the event in 2015, we’re looking forward to bringing you an even better show than last year. In 2015 it was really important to us to get a big variety of participants on stage to help convey the spectrum of exciting stuff happening on PC, but an inevitable effect of that was that we ran quite long. This year's show will be more focused, but packed with tons of new announcements and exclusive reveals. We’ll be announcing PC Gaming Show participants soon—keep an eye on PC Gamer and on pcgamingshow.com for more information in the coming weeks. Thanks to everyone who watched last year and helped give PC gaming the event it deserves. Relive the announcements and conversations of last year’s PC Gaming Show.